In a distant land, peace was maintained for thousands of years by a fearful dragon clan who could transform into powerful monsters. One day they discovered a goddess who could fulfill their every wish.. Greed split the clan into dark and light dragon, each battling the other to win her magic. 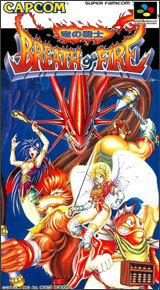 One member of the light dragon, along with seven of his companions, emerged to keep the opposing forces from destroying their world using six magical keys they sealed the goddess into another realm. Centuries having passed, the dark dragons are destroying the land in search of the keys, when they find the keys, they will once again release the magic goddess. Light dragon.. 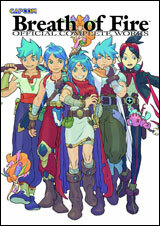 The time has come to draw your sword and fight for the future of your people in the world of Breath of Fire!